I promised in my shed delivery article that I’d be sharing a brief buying guide a week later. I didn’t make good on the timeline, but I didn’t forget the commitment. In order to produce a buying guide, we needed some additional pictures of a substandard shed to highlight the quality differences between sheds that are built “up to a standard” (like the one we purchased) vs. those that are built “down to a price.” We’ve also been well distracted by the workshop drywall project. Excuses aside, I think this is an important topic to cover, because I’m sure many of you will be building or buying a shed in the next few years. Ethan took some time earlier this week to head to a local (purposefully unnamed) big box store to snap some pics of a low quality model. Now we’ve got everything we need for the comparison. Before I get started, it’s worth noting that it is our firm opinion that buying (or building) a shed that meets a high quality specification is worth the additional cost. The shed will last longer and look better than cheaper alternatives. When you’re looking to purchase a shed, make sure to really examine the build quality and compare prices. We found that our local, privately-held shed company was able to build and deliver a shed for nearly the same price as the big box home improvement stores, but with a much higher quality build. For this buying guide, we’ll be comparing features of our 8×12 custom-built shed with an 8×12 model available at the big box store. Our shed cost us approximately $2,700 with all the options, while the low quality shed costs approximately $1,900. The big ticket items that made our shed more expensive included vinyl siding (about $400) and architectural shingles (about $100). Subtract those, and the price for these models gets within 15% of each other. While not the subject of this guide, we were able to find a shed that was a near exact match to ours at the big box. The price: a whopping $4,000 delivered and installed. This would be about $1,300 more than we paid. 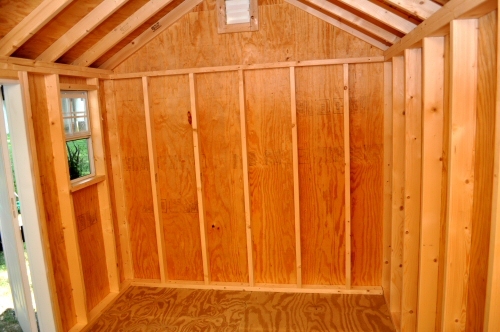 Our shed floor is built with 3/4″ pressure treated plywood over 12″ o.c. joists. 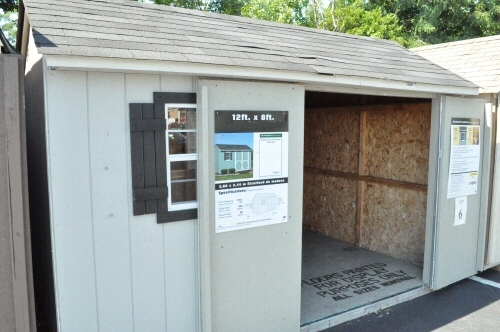 The low quality shed is built with 5/8″ untreated oriented strand board (OSB) over 16″ o.c. joists. 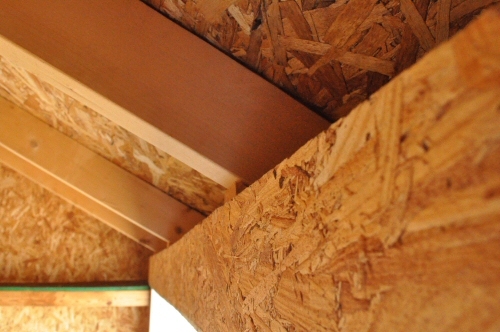 OSB is particularly susceptible to buckling and warping when exposed to high moisture levels. This is especially the case at the edges/joints. Pressure treated plywood, on the other hand, is a much more durable surface that will handle moderate moisture very well, and could be sealed for additional protection. For the best surface, 3/4″ tongue-and-groove plywood could be used to further abate buckling. 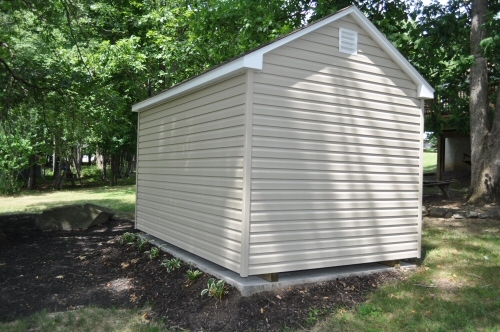 Our shed is constructed with uniform 2×4 studs spaced 16″ o.c. covered with 1/2″ plywood walls. 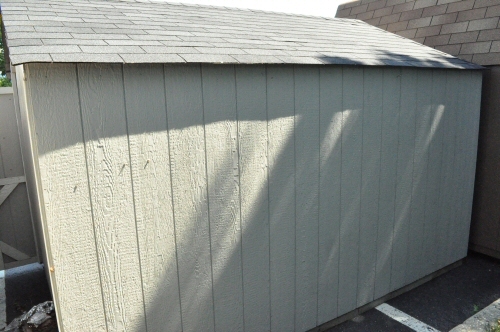 The low quality shed is build with 2×3 lumber spaced 24″ o.c. (and nearly 4′ o.c. on the side walls) with 1/2″ OSB for walls. The walls of the low quality shed are much more likely to buckle over time, especially if the 2x3s and OSB are subject to high moisture. High quality 2×4 lumber provides significantly more structural rigidity in the build. 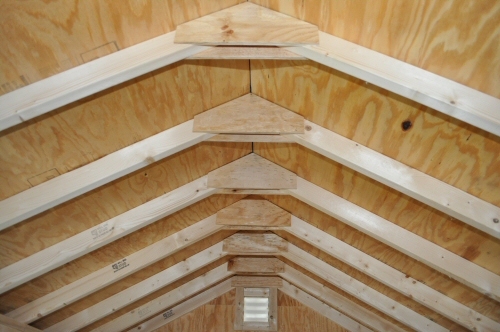 Our shed is constructed with 2×4 roof rafters spaced 16″ o.c. 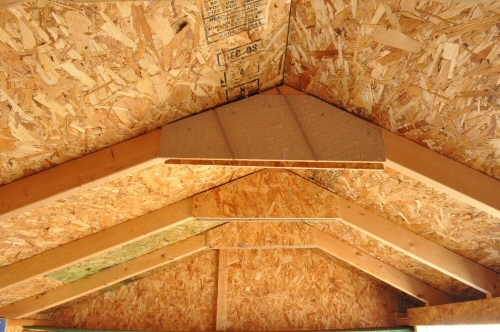 with a 1/2″ plywood sheathing. 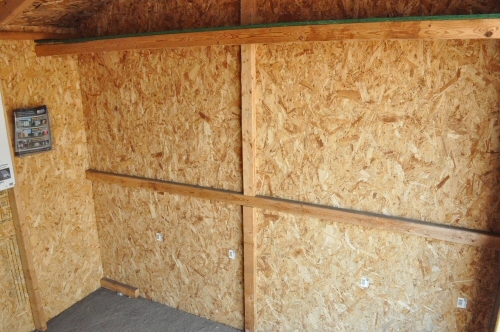 The low quality shed uses the same 2×3 as are used on its walls, spaced 24″ o.c. with 1/2″ OSB on top. 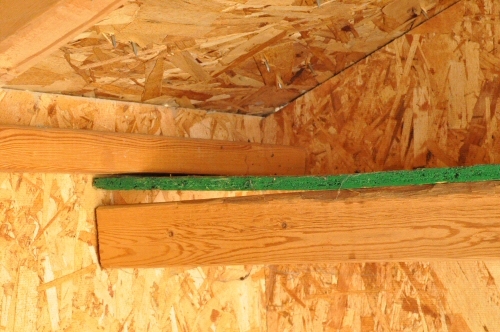 Over time, the roof of the low quality shed is much more likely to sag, especially in a high-moisture environment. Our shed has 30-year architectural shingles. 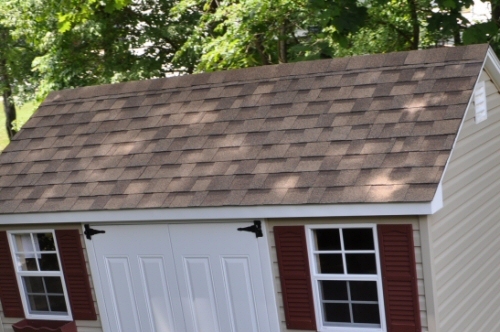 The low quality shed has 3-tab shingles that don’t look like they’re wearing well even while the shed sits on the lot. 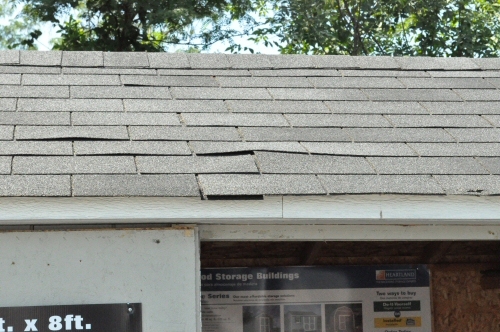 Our guess is that those shingles are not rated for installation over OSB and likely have a 15 year warranty, max. One of the major reasons our shed is more expensive than the low quality version is that we opted for vinyl siding (a $400 upgrade). Vinyl siding is virtually maintenance-free, and with a 2×4-over-plywood substructure, it will last for at least 20 years. The wood siding on the low-quality shed will require painting and will wear out far more quickly. We think vinyl looks much better, too. 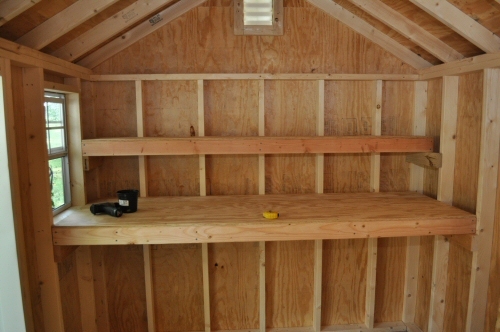 We built three shelves in our shed using 2x4s and 1/2″ plywood at a cost of about $100. 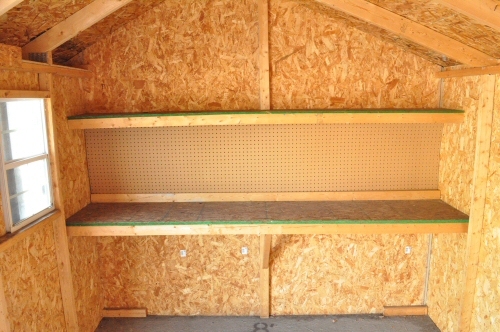 Our shelves will last for the life of the shed.The materials used for shelving in the low quality shed are the same as those used for the walls (2x3s, 1/2″ OSB). You can see from the pictures below that these shelves are already warping. Any weight placed on the large shelf will cause it to buckle over time. 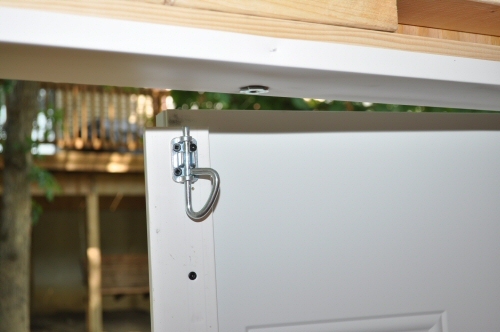 Our shed sports all metal door construction that isn’t likely to sag. The low quality shed includes wood doors that will bend and warp over time. The one drawback for our shed is that metal doors are more likely to dent under abuse. However, we would far prefer to have metal doors over wood ones. 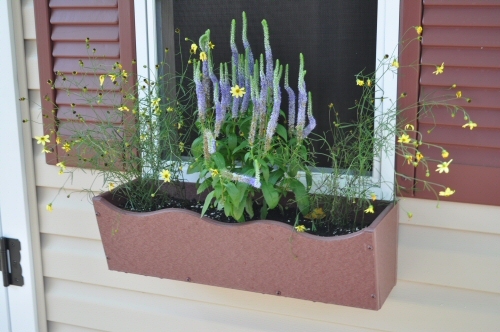 Our shed features window boxes made from rot-proof composite materials. The low quality shed doesn’t have window boxes, but if it did, they would likely be painted wood with plastic inserts (or worse, wood alone, which will rot after just a few years). The trim components this shed does have are already looking worn. If you’re in the market for a new shed, shop around. The big home improvement stores especially seem to be selling sheds with substandard materials. This is one area where a little bit of legwork can make a huge difference in your return on investment. 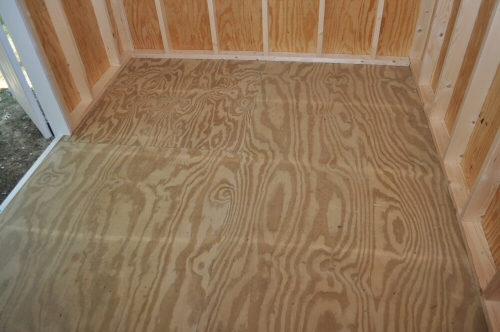 Avoid oriented strand board, especially for roofing and sub flooring. Look for plywood construction, and especially 3/4″ pressure treated, tongue-and-groove plywood for the floor. Avoid 2x3s, especially if they are spaced far apart. Look for 2x4s no more than 16″ on center. 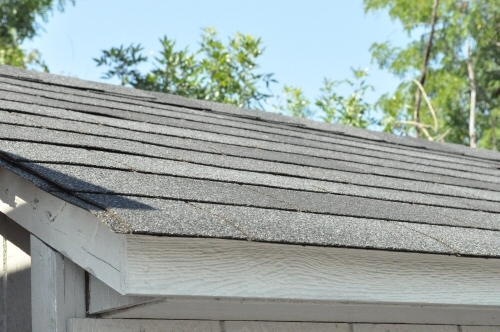 Consider roofing and siding materials. 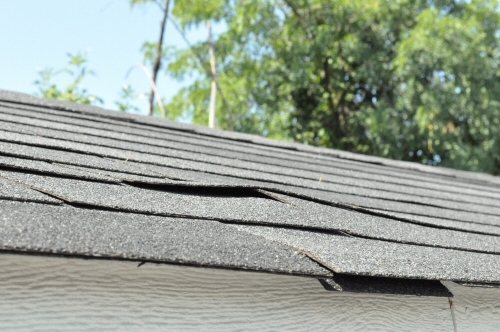 Look for shingles with at least a 25 year life. Look for rot-proof composite materials. Look for quality doors that won’t sag over time. Above all, don’t sacrifice quality to save a few bucks. If you’re going to spend $1,900 on a shed, spend $500 more and get something worthwhile. What do you think? 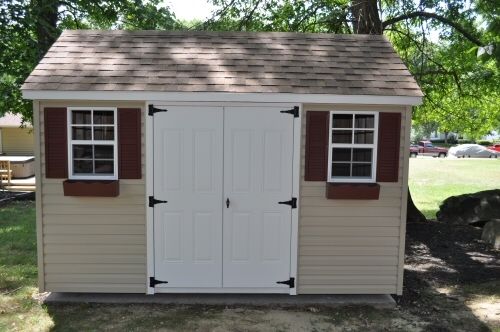 Let us know what you think are the most important qualities of a shed in the comments. That’s why alot of people build sheds… but $2700 still sounds fairly cheap for a trip to Hawaii, that airfare is killer. The guide is informative, but the framing on the side walls of that cheap shed looks practically criminal!! Nice to see that your shed is all plywood, I know OSB is good for some things, but I still cant bring myself to use it, plywood just seems so much sturdier. Joe, I tend to have the same sentiments. We’ve heard Advantech sheathing is a really good material for sheathing work – even better than plywood. 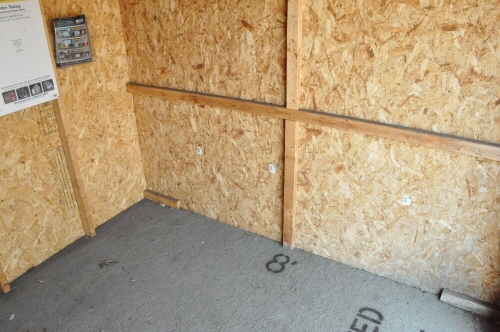 I can stand OSB as long as it’s being used in the right space, under the right conditions. The floor and roof of a shed is absolutely no place for OSB. As for the legality, it’s a good point. Sheds aren’t subject to building codes in most places, which is why they can get away with this stuff. Did you guys price materials to build your own before you considered a custom-built one? Jeff, this is a really good question. The bold and unmitigated answer is “No.” But it’s not because we didn’t want to, we just didn’t have the time to build the shed and get everything else done we’re working on – and we needed to get some things into storage so we could work on the shop. I expect that the materials for our shed probably ran about $1,000-1,300, but that’s just a guess. Usually I expect labor to be about 50-60% of the job in our area when we have to contract stuff out. The shingles you have on your High Quality Shed are the ones we put on the 25 year old roof here. Love the look of them. Those shingles are called “Architectural Shingles.” They are MUCH nicer looking than traditional 3-tab variety and cost only about 20-25% more. When you consider that you’ll have to look at the roof for the next 20 years, the investment in architectural shingles really starts to make sense. Also, from a “functional” perspective, architectural shingles are heavier, and so they resist blowing off in high wind storms, etc. The only downside to architectural shingles is that you cannot (or really, you should not) lay another layer of shingles over top of them, which you can do with 3-tab shingles. You have to tear off the roof before putting on the new one. Oh no way I wouldn’t hire someone who would layer on top of old shingles when you think of all that extra weight thats left on the roof I cringe. The roofers we hired ripped off the old 3tabs(builders shingles). They said it was at least a ton of waste. Its true that 3 tabs aren’t tough. The old 3tabs were flying off in high winds our neighbour was like um I think you need to redo your roof. (only put it off due to cost was VERY expensive). The south side of the roof was the worst had fading and shingle loss (also started leaking at the valleys during rain storms(that was the final straw). The new Singles are so worth the extra money for functionality and aesthetic.When you think about it you are paying thousands to do a job that wont need to be done for many years. Also it adds value to the property. Wow…. I know NOTHING, NOTHING NOTHING about Building ANYTHING…. Very Informative Article…THANK You Mr. Joe. Any you can look our website about hks http://www.j2fastmotorsports.com/hks/. 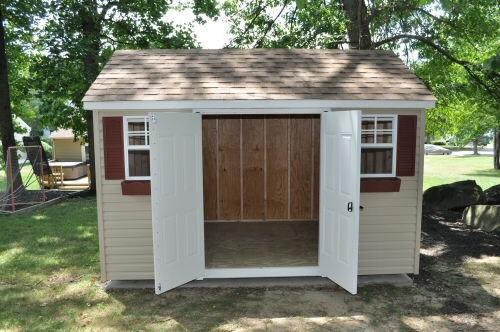 I have recently been thinking about getting a shed in my backyard to relieve some room in my garage. I really appreciated these tips especially to think about quality and compare prices. Have a really good shed for an affordable price is really important to me.